New Family Accounts and Home/Away Assist features take into account the fact that most homes have more than one occupant. 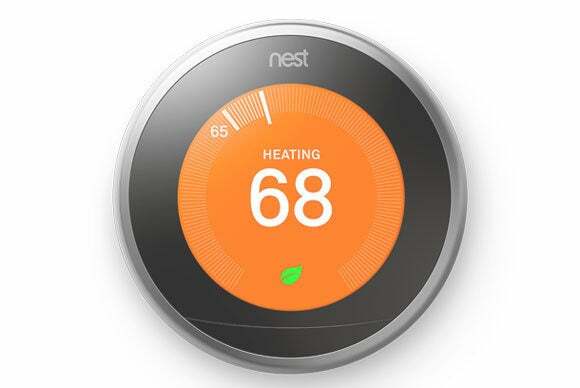 When the Nest Learning Thermostat first came to market, one of its signature features was knowing when you were home (so it could maintain a comfortable temperature) and when you were away (so it could save you money by not warming or cooling an empty house). The thermostat relies on a motion sensor to pull off this trick, but if no one walks past the thermostat frequently enough, it might decide no one’s home and it will shut down your HVAC system. Many of Nest’s competitors use geofencing to determine when you’re home and when you’re away. These rival thermostats establish a geographic perimeter around your home, and when you move outside that perimeter with your smartphone, the thermostat knows you’re away and it adjusts its temperature targets accordingly. This is a great solution—provided never forget to take your phone with you, everyone comes and goes at the same time, or you’re the only occupant. New features in the Nest app promise to render Nest devices even more effective. So Nest is introducing two new features to solve this problem: With Family Accounts, up to 10 people can establish their own Nest accounts, install the Nest app, and associate it with your home’s Nest devices (Nest Thermostat, Nest Cam security camera, and the Nest Protect smoke/CO detector). Without needing to share logins or passwords, each occupant will be able to control the Nest Thermostat, receive notifications from the Nest Protect, and monitor what the Nest Cam is seeing. Everyone will also receive their own copy of the monthly home report. The second new feature is called Home/Away Assist. 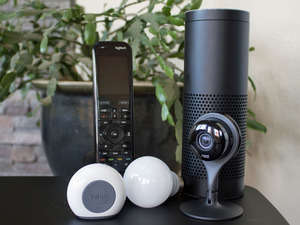 Nest will continue to use the motion sensors built into its products to feed learning algorithms that can predict your household’s activity patterns, but it will now also use data from the smartphones of each account holder who opts in to the service. This should eliminate the problem of the thermostat turning the HVAC system off because it thinks no one is home. Now it won’t do that until everyone has left the home—or at least everyone with a smartphone with the Nest app installed. Nest says that products participating in its Works with Nest program will also be able to tap into these new features. 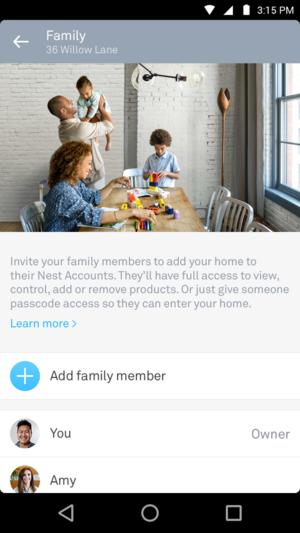 Nest owners who want these new features can download the latest version of the app, which is available for Android and iOS devices.